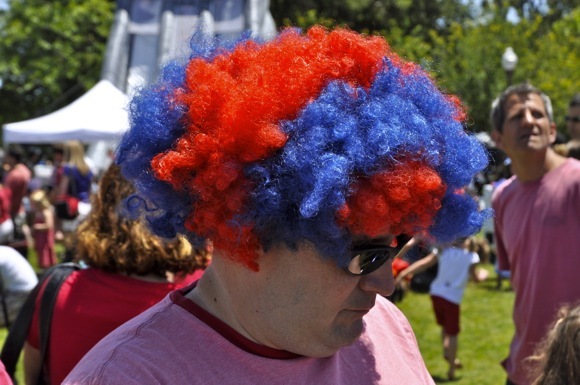 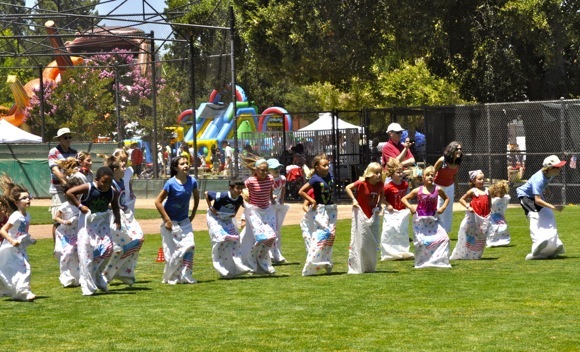 Menlo Park’s 4th of July parade ended at Burgess Park where there were inflatable slides in four sizes, carnival games, crafts, a live band and contests like potato races. 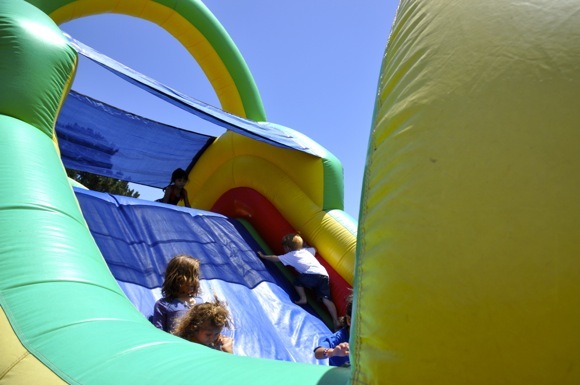 Lots of food to choose from, too, from all-American hot dogs cooked by the local Lions club to choices from around the world provided by food trucks. 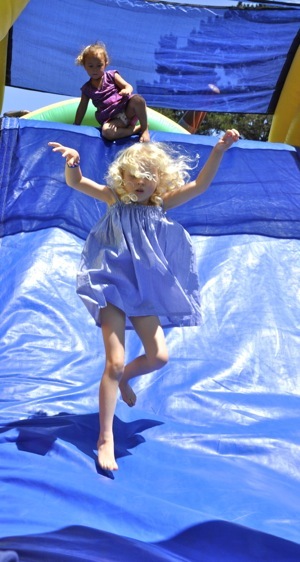 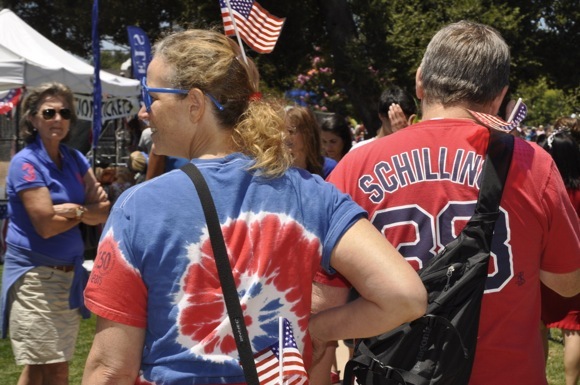 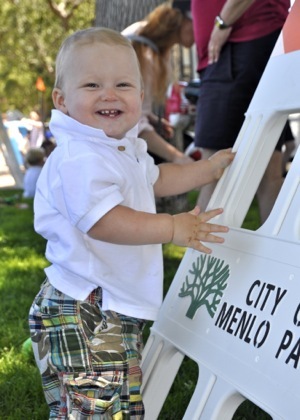 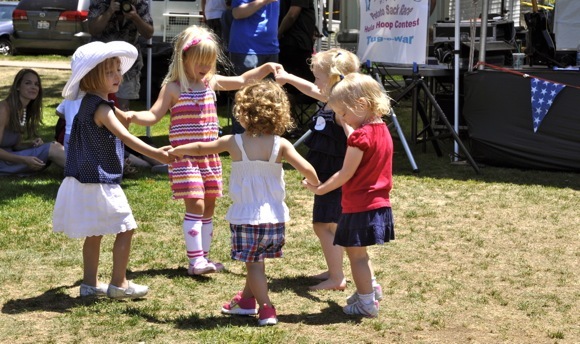 Previous post: Kids and Families enjoy Menlo Park’s Annual 4th of July Parade!